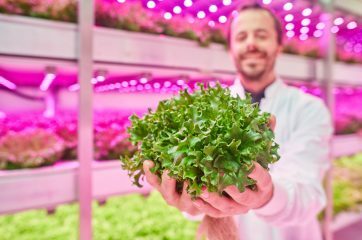 The Vertical Farming Conference 2018 will take place on June 27, at Brightlands Campus in Venlo, The Netherlands, as part of a three-day Agri-Food Innovation Event, which includes 4 conferences, an expo, demo corners (Healthy Nutrition on June 27 and 3D Food Printing on June 28), a 3D Food Printing Masterclass, Brightbox tour (vertical farming expertise centre), Laboratorium tour Centre for Healthy Eating and Food Innovation and a 3D Food Printing Experience at Wageningen University & Research. The program of the conference includes 11 speakers from reputed universities and companies. 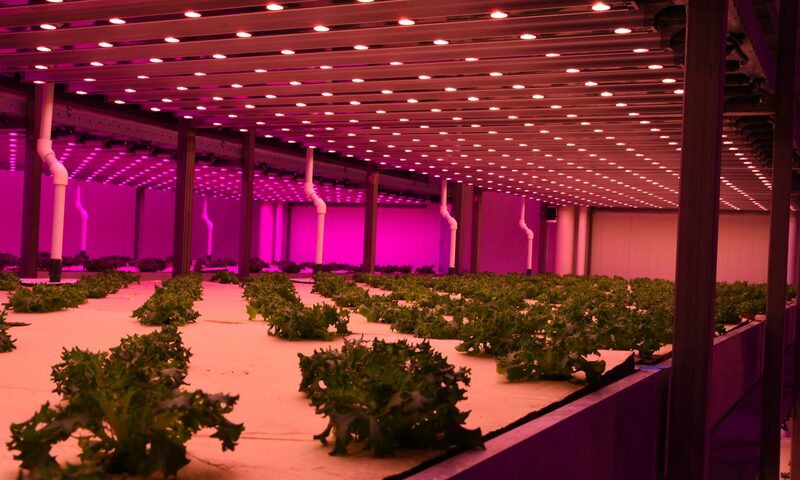 In this research we used baby leaf spinach and rocket from various cultivars all grown in a vertical farm research facility at Philips Lighting GrowWise Center in Eindhoven, The Netherlands. We used the standard red white LED light recipe as control, while we changed the spectrum with higher blue and/or higher far-red or applied few days of continuous light stimulation just before the harvest (pre-harvest). Quality at harvest and quality loss during postharvest storage was monitored. We observed that light quality affects shelf life of baby leaf spinach and rocket by several days. The city of the future will be structurally incomparable with the modernist city. The design practice of the last eighty years has brought us really great challenges that will lead ecologically, socially and economically to radical system changes. This fact enables a much greater commitment by different creators from the fields of art, science and business. In addition, the fact of designing the city of the future is an invitation for all those who have hitherto been difficult to integrate into existing decision-making processes. The necessary supply of healthy food throughout the year affects all of us, especially city dwellers. All over the globe, cities are turning ‘smart’ and embedding sensors, information management systems, and automation. Unfortunately, most ‘smart cities’ exclude agriculture and food in their dialogue and development. This presentation will ask: “Can a City Really be Smart Without Agriculture”? Henry will bring his knowledge of the spectrum of urban and peri-urban agriculture models and discuss how new scenario analysis tools can help cities understand the potential impact of strategies to make cities smarter through data-driven agriculture planning, management, and distribution. A discussion on lessons learned in working with cities on urban and vertical farming will be discussed as well as best practices for engaging them. In the presentation, I will talk about the role of genetics in driving the growth of the Vertical farming industry. I will share the tools and capabilities we have in the company and our breeding approaches that will help accelerate the innovations in genetics that will be specific for the vertical farming industry. I will also emphasize the importance of collaboration to drive innovation in this area. Brightbox tour (vertical farm expertise centre) – BrightBox opens her doors for participants of the Vertical Farming Conference and Agrifood Innovation Event in Villa Flora on 27 June 2018. BrightBox is an expertise centre for daylight-free multi-layer cultivation, i.e. city farming. By determining the ideal growing formula for a plant – light, temperature, humidity, CO2, nutrition, water and substrate – we achieve the best results for the client.